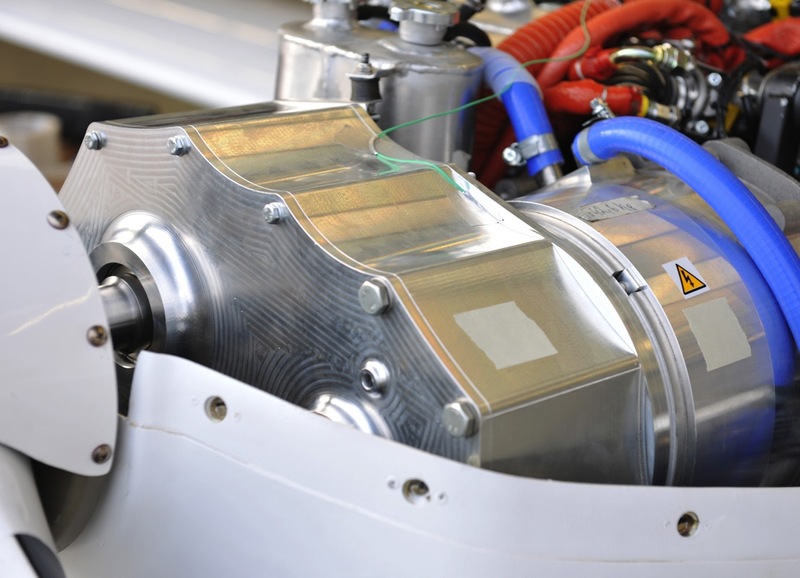 Siemens AG, Diamond Aircraft and EADS are set to present the world's first aircraft with a serial hybrid electric drive system at the Paris Air Show Le Bourget 2011. The two-seater motor glider successfully completed its maiden flight on June 8 at the Wiener Neustadt airfield in Vienna, Austria. The aircraft was built by the three partners to test the hybrid electric drive concept. In the future, the technology, which is intended for later use also in large-scale aircraft, will cut fuel consumption and emissions by 25 percent, compared to today's most efficient aircraft drives. Air traffic accounts for some 2.2 percent of CO2 emissions worldwide. For this reason, aircraft, too, must become more efficient. 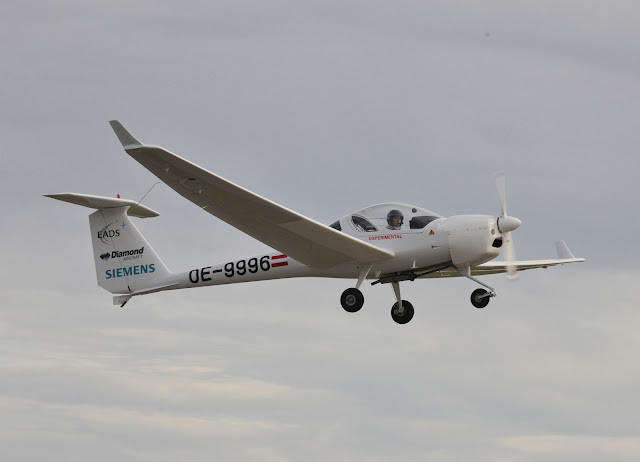 One possible solution – which Siemens and its partners Diamond Aircraft and EADS are testing in the DA36 E-Star motor glider – is to electrify the drive system. "A serial hybrid electric drive can be scaled for a wide range of uses, making it highly suitable for aircraft as well," said Dr. Frank Anton, the initiator of electric aircraft development at Siemens. "The first thing we want to do is test the technology in small aircraft. In the long term, however, the drive system will also be used in large-scale aircraft. We want to cut fuel consumption and emissions by 25 percent, compared to today's most efficient technologies. This will make air travel more sustainable." The motor glider, which is based on Diamond Aircraft's HK36 Super Dimona, is the only aircraft of its kind in the world. It is the first to use a so-called serial hybrid electric drive, which has been utilized to date only in cars, as an integrated drive train. The plane's propeller is powered by a 70kW electric motor from Siemens. Electricity is supplied by a small Wankel engine from Austro Engine with a generator that functions solely as a power source. A Siemens converter supplies the electric motor with power from the battery and the generator. Fuel consumption is very low since the combustion engine always runs with a constant low output of 30kW. A battery system from EADS provides the increased power required during takeoff and climb. The accumulator is recharged during the cruising phase. "The serial hybrid electric drive concept makes possible a quiet electric takeoff and a considerable reduction in fuel consumption and emission," said Christian Dries, the owner of Diamond Aircraft. "It also enables aircraft to cover the required long distances." The electric motor glider successfully completed its first flight at the Wiener Neustadt airfield in Vienna, Austria on June 8, 2011. "On the long way to hybrid electric-powered commercial aircraft, the maiden flight of the DA36 E-Star is a small step and at the same time a historic milestone," said Dr. Jean Botti, Chief Technical Officer and member of the Executive Committee of EADS. The next development step will be to further optimize the entire drive train. Siemens scientists are currently working on a new electric motor that is expected to be five times lighter than conventional drives. In two years, another aircraft is expected to be equipped with an ultra-light electric drive. Siemens' Drive Technologies Division has already used integrated drive trains in other applications like marine drives. The knowhow gained in these areas has now been applied in the aviation industry as well. Combined with the corresponding product portfolio, the components of the drive train can be optimally adjusted to one another. The DA36 E-Star will be exhibited at the Paris Air Show Le Bourget in a flight demonstration every day from June 20 to June 26, 2011.